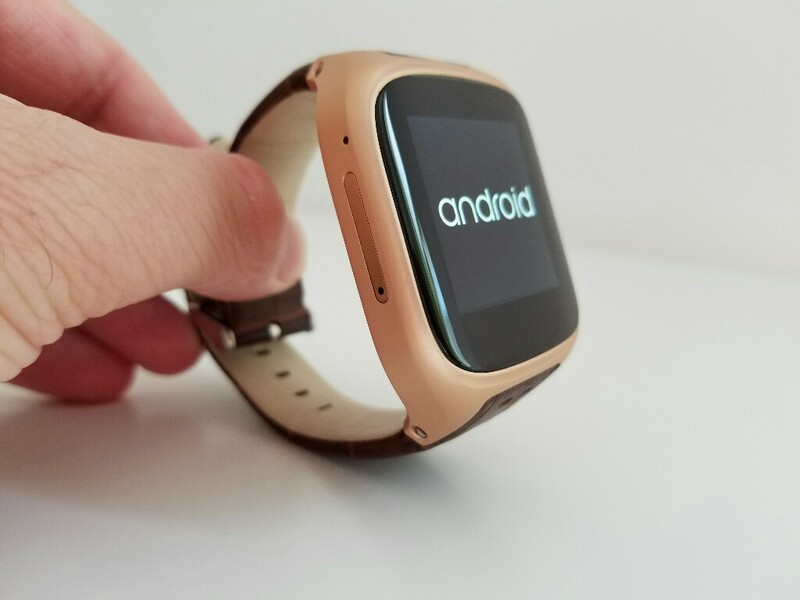 For the past few months we’ve seen more and more smartwatches running a full version of Android. The Ourtime X01S is one of these watches. The X01S is big and luxurious. It is made out of metal and it has a leather strap. It comes in a few colours and i got to try out the gold coloured one. These smartwatches that run a full version of Android aren’t exactly made to be used as secondary devices anymore. They take a sim card and and SD card and they can also connect to the networks. The leather strap is not made out of the softest leather, but it does the job in a very stylish way. 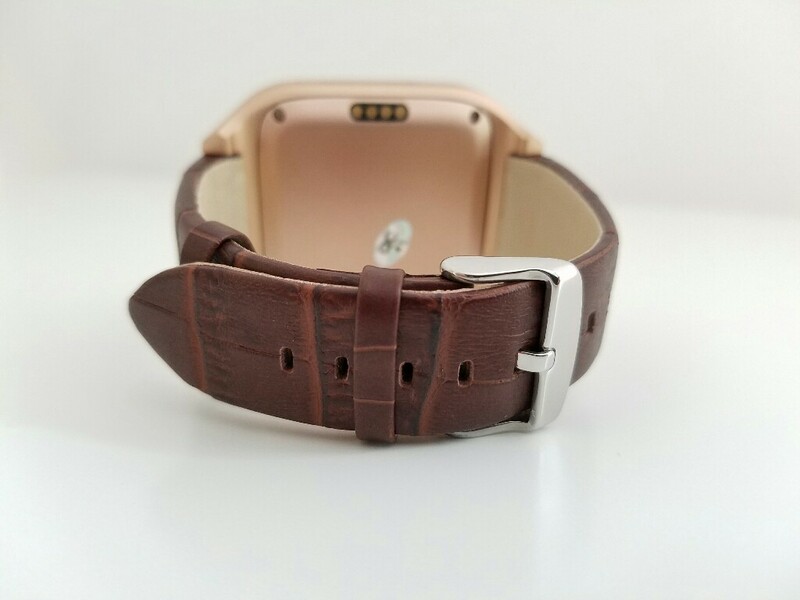 Unfortunately, i don’t believe that you could change the leather strap. The 1.54″ screen has a resolution of 320×320 and it has great viewing angles. It gets pretty bright, but not that bright to be seen in bright daylight. 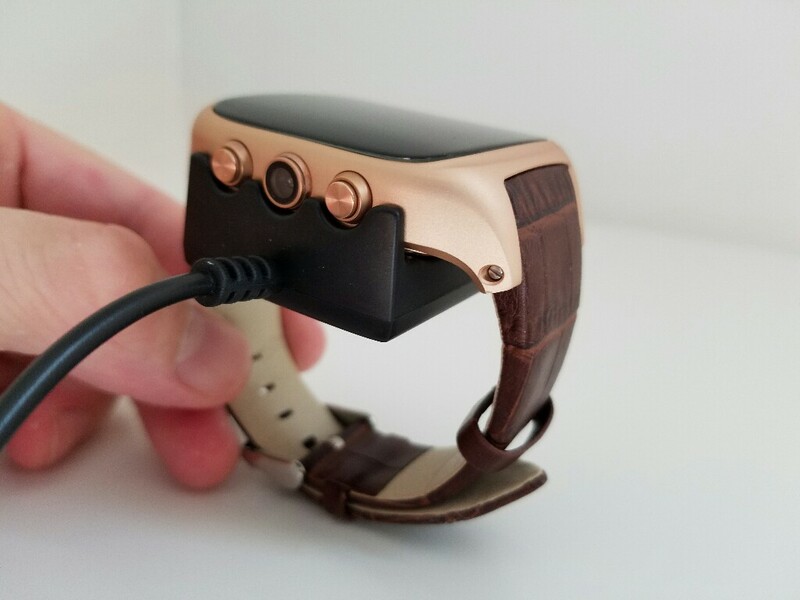 The watch charges with a proprietary charger that connects to the back of the watch. This could be problematic if you ever misplace the charger or you don’t end up at home where you would have to charge the watch. Even though the manufacturer says that the 600mAh battery will last for 7 days, in reality you can barely make it thru one day on a charge. Lastly the software; we have Android 5.1 running on the X01S and it feels like you are using a very small phone. We even have a 2mp camera to take pictures with. Typing is a bit challenging due to the small screen, but you can always dictate to the watch. Make sure that you watch the video review of the Ourtime X01S watch below for more detailed information like the Antutu Score, GPS accuracy and more. 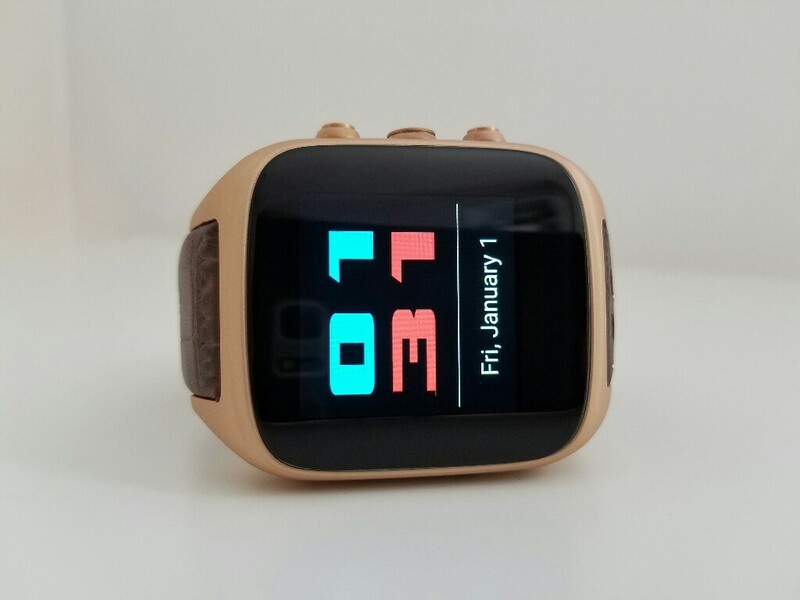 This smart watch looks very well! Do you know if the X01S has a gorilla or sapphire glass protection? Could you tell me about the measurements (height, width and depth) of the watch? (without the strap, please). Does this watch have some water protection? Perhaps IP67? Thanks for you contributions and reviews. They are really illustrative. i didn’t get any scratches on the screen yet after wearing the watch for a few days… but im not sure if it has gorilla glass. As per water protection…they do say that it’s waterproof, but i don’t think it is. Water resistant, yes but not more than that. Concerns on the batterie life. Can you tell me how it’s performance please. Were you able to synchronize the Ourtime X01S with a smartphone? Which app do you use? Installing the Play Store on the Amazon Fire tablet, shouldn’t the first step be to connect to your WiFi. I ordered it but have not received it yet. I am assuming it connects to WiFi in the same way as a mobile. Is that correct?